Who are the Global Faces of Leadership? 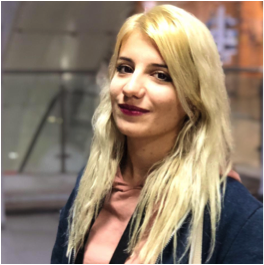 Sara Abdullah Abdulrahman, is a rising leader from Kirkuk, Iraq and a motivated social activist working with a number of organizations and institutes on peacebuilding, child protection, and women’s rights. Sara is a leader and co-founder of Kokar, the Kirkuk based volunteer group promoting peace and community engagement. Sara’s leadership helped the youth of Kirkuk avoid division and provides a good model of youth engagement to local leaders. Her efforts helped strengthen peaceful coexistence and allowed for the safe return of internally displaced persons. Kokar is a successful example of promoting tolerance among people with different backgrounds in one of the most difficult environments in Iraq. Currently, Kokar has more than 500 active volunteers, including 50 professionals and expands up to 1,000 youth volunteers during service events. These young people from diverse backgrounds are all unified by their desire to serve their community and promote tolerance and coexistence. Sara received the U.S. Department of State’s Emerging Young Leader’s Award in 2018. She was a GYV participant in 2009. Arjun Verma is a sitarist trained by the legendary Maestro Ali Akbar Khan. 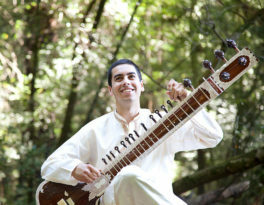 Arjun has spent his entire life steeped in the tradition of North Indian Classical Music. The son of internationally performing sitarist Roop Verma, a disciple of Ali Akbar Khan and Ravi Shankar, Arjun began learning sitar from his father at age five. Roop Verma helped start a tradition of global music at the Global Youth Village in 1984 with Arjun sitting at his feet. Arjun began performing at the age of seven, and has played concerts in the United States, Europe, and India, including performances with Alam Khan, Pandit Swapan Chaudhuri, Bob Weir of the Grateful Dead, Fareed Haque, Pandit Sharda Sahai, Ustad Shabbir Nisar, Kai Eckhardt, Krishna Das, Maya Kherani, Salar Nader, Nilan Chaudhuri, Indranil Mallick, Anirban Roy Chowdhury, Sean Panikkar, Andriana Chuchman, and the St. Louis Symphony. JJ Johnson is a GYV alum and Artist Educator at Bodywise Dance in Northern Virginia. He has dedicated years to using theater, movement, poetry and art to bring people together. JJ graduated from Virginia Commonwealth University with a Bachelor of Fine Arts in Theater Performance. 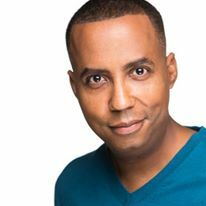 He has performed in plays in New York as well as throughout the greater DC area. Locally he has appeared in productions with 1st Stage, Arena Stage, Theater J, Ford’s Theatre, Woolly Mammoth Theatre, African Continuum Theatre Co., Adventure Theatre MTC, Imagination Stage, and Kennedy Center TYA. He might be familiar to some from his television commercial work. In addition to his amazing acting and teaching, JJ is also a talented playwright. Tommy Lee has a Masters in Public Health and is currently acting the Global Health Academic Program Administrator at Boston University School of Public Health. 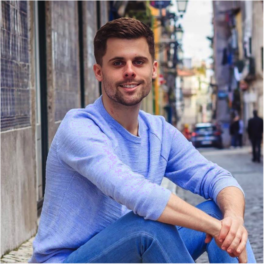 As a BUSPH student, Tommy worked as a Prevention Educator with Boston University’s Center for Sexual Assault Response and Prevention and interned with Physician’s for Human Rights’ Program on Sexual Violence in Conflict Zones. As a teenager, Tommy attended the Global Youth Village for two summers. Those experiences set him on a path of community building. After graduating high school, Tommy went on to study International Conflict Analysis and Resolution at George Mason University. He returned to Global Youth Village as a staff member for four years. Most recently, worked as the Program Coordinator and Lead Trainer for the Global Youth Village and the US-UK Social Cohesion Exchange. Tommy served as a Peace Corps Volunteer in Mozambique, first as a Community Health Promoter and later as the National Gender & HIV Coordinator. He then served as a Peace Corps Response Volunteer in Guyana working with the Society Against Sexual Orientation Discrimination and the Guyana Equality Forum. He completed his BUSPH practicum in Botswana with LEGABIBO (Lesbians, Gays, and Bisexuals of Botswana). Read more about his recent trip to Botswana. 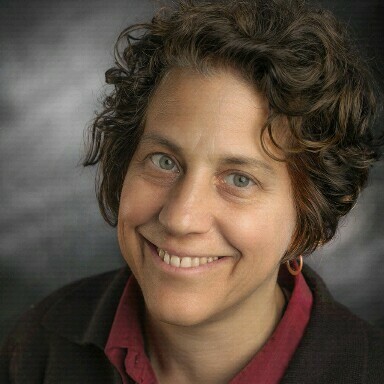 Linda Iannocone L is an artist with 25 years of experience presenting creative workshops. Her artmaking includes painting, basketry, bookmaking and mosaics, exhibiting work in NY and NJ galleries.She has traveled around the world to lead arts projects including video production, mural-painting and puppetry. With a masters in art therapy, Linda currently uses expressive arts to lead individuals and groups on a creative journeys of healing and connection. Art is where beauty and truth meet to spark the spirit. When not making art, Linda loves to spend time in nature, gardening, biking, hiking or traveling the wonderous lands of US and beyond. She taught at GYV for two summers. 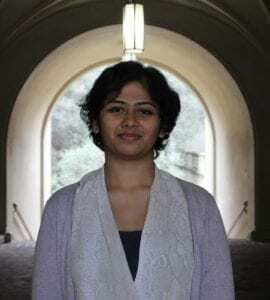 Priyal Bhatt is a Program Assistant with the Tech Innovation team at the National Democratic Institute for International Affairs (NDI), a nonprofit, nonpartisan, nongovernmental organization that supports citizen participation, openness and accountability in government. At NDI, Priyal supports civic technology programs, human centered design initiatives, distance learning programs, and DemTools – a suite of localized, open-source democracy tools for NDI partners. Priyal has previously worked on governance issues in the Asia-Pacific region for the Anti-Corruption and Rule of Law teams at the UNDP Bangkok Regional Hub. Most recently, she served as a graduate student consultant for Transparency International to examine the potential of technology to help women combat land corruption in Uganda. Priyal has a Master of International Affairs degree from Columbia University and a B.A. in Political Economy from the University of California, Berkeley. Priyal is an alum of Legacy’s Professional Fellows Program.